On November 7, 2010 Jeremy A. Lawson, NALP wrote the following article on Fair Housing. Please enjoy! Roasted turkey, mashed potatoes and fresh rolls, I think we would agree that these delicious items are consistent with what most of us will be enjoying at the upcoming holiday. So, what does this have to do with fair housing? Well, if you were to forget the “mashed potatoes” during one of your leasing presentation, you may just end up in “deep gravy,” with a fair housing lawsuit. else we know going through a fair housing lawsuit. Scary as they are, if we simply follow the golden rule of fair housing, “be consistent and treat everyone the same,” we can all breath a little easier. Did you know in a fair housing law suit both your company and you personally can be sued? Better yet, how can you completely avoid being baked to a crisp, like a burnt turkey, in one of these lawsuits? Well, if you ever feel a decision that may need to be made could possibly break one of these laws, don’t make it. After all, most fair housing law suits are filed because someone felt they were being discriminated against. Instead, bring it to the attention of your supervisor and let them make the call. With their experience they may see the situation totally differently and offer a solution that makes everyone happy. If they come up with the same resolution, maybe it is the right one. Document, document and document some more. In these instances and any others that end in disagreement a pen may just be your best friend. Hopefully it will just take up space on that conversation log, like a hot pad protecting your dinner table. But, you never know when that documentation is going to keep you from getting burned. Because so many of these lawsuits are made based how you made someone feel it is also imperative to be aware of what you say and how you say it. You may be familiar with the sentence, “I didn’t say it was your fault.” That just reminds you how one word can have two different meanings. Take the time in these sticky situations and ensure all parties understand why a certain decision was made. After all, it’s only fair. 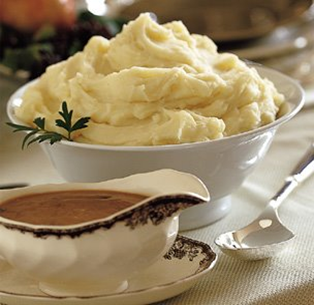 And, the next you are giving a leasing presentation take a second and ask yourself, did I forget the “mashed potatoes”? To learn more about and to become more comfortable with fair housing laws visit www.naahq.org, www.gracehill.com or www.callsource.com they are great resources and offer many informative courses. It is also important to attend fair housing classes offered by your local apartment associations as often as possible.